Alco-lite aluminum 8 foot 300 lb. 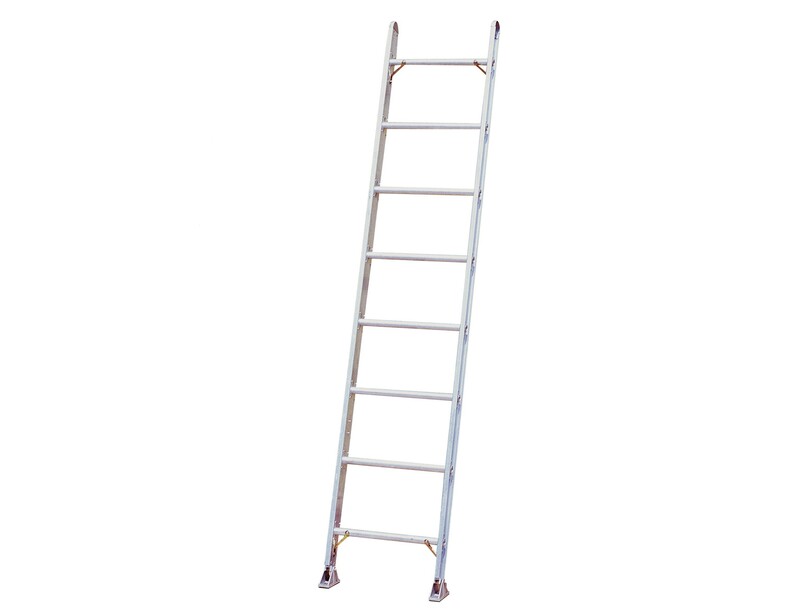 capacity single ladder - Model DLLH-S-08. 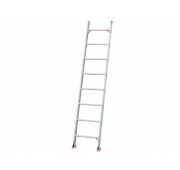 Manufactured of marine grade alloy for maximum strength. 1-1/4 inch O.D. 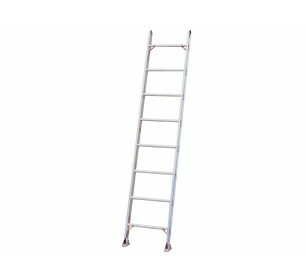 slip-resistant serrated aluminum rungs. Bottom rung and side rail gussets reduce racking and increase rail support at foot assembly for added durability. Large aluminum swivel safety shoes with thick rubber treads may be used in either tread or spike down position for improved traction in many environments. 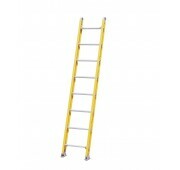 All components are field repairable which increases ladder life cycle and reduces costs.